If you did a random survey of women and asked which one shopping experience they find to be the most irksome, we’d bet money that they would say shopping for jeans. For women of all body types, jean shopping can be little more than a severe annoyance. It’s hard to find ones that fit in all the right places, and even sometimes when they do, they just don’t look that good. In our far and wide sartorial experiences with jeans, we’ve come to a concrete conclusion: There is only one type of jeans that look good on everyone. If you’re at all interested in looking better in your jeans, try this one trick: Invest in a good pair of high-waisted jeans. From petite girls with shorter-than-average legs to tall gals with longer-than-normal gams, from curvy girls to slender builds and athletic ladies, high-rise jeans are universally the most flattering. Why? They hug your hips in the right places and make your waist look smaller—thereby combatting the ever-feared muffin top, flattering you in all the right places, and slimming you down at the same time. Plus, the mod styles of the ‘60s are really definitely trending right now, and these upward-reaching waistlines fall right in line with them. 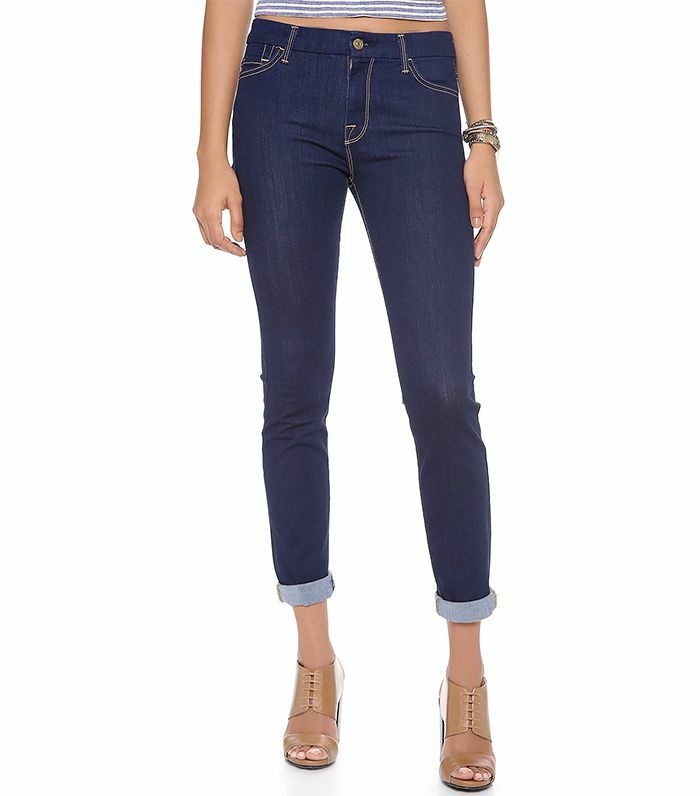 Keep scrolling for 13 pairs of high-waisted jeans that will make you look better right now! What are YOUR favorite jean styles? Tell us in the comments below!